Brass is an alloy of copper and zinc and has a yellow color, similar to the appearance of gold. This metal can have varying proportions of zinc and copper, which produces a broad range of types with different properties. Brass is commonly used for decorative fixtures because of its bright gold appearance. It is also used for plumbing valves, bearings, locks and musical instruments. There are three common forms of brass. Brass is a metal that has been in use for hundreds of years and is still widely used today. It was first discovered by melting copper with a calamine, a zinc ore. An ancient Roman settlement was found where a calamine ore mine once existed in Breinigerberg, a German village. When the copper and calamine are melted together, the zinc is extracted from the calamine and combines with the copper. The King James Bible makes many references of brass. Cartridge brass, often referred to as C260, is the most common form of brass used for ammunition components, builder's hardware and plumbing goods. Because this brass form has a good cold workability, it is widely used in automotive manufacturing. This brass type has a content high in zinc, but also has a high content of copper. Brass C330 is most commonly used in the production of tubing. This brass form has a very low lead content of around 0.5 percent, which provides it with adequate cold-working capabilities in the machining process. The metal tube can be formed in a variety of ways such as punching, piercing, bending and machining. Brass C330 is much like copper, where it has the capability of being soldered, brazed or welded. This brass form is more likely to be used for brazing unlike metals and brazing steels together because it can hold well. 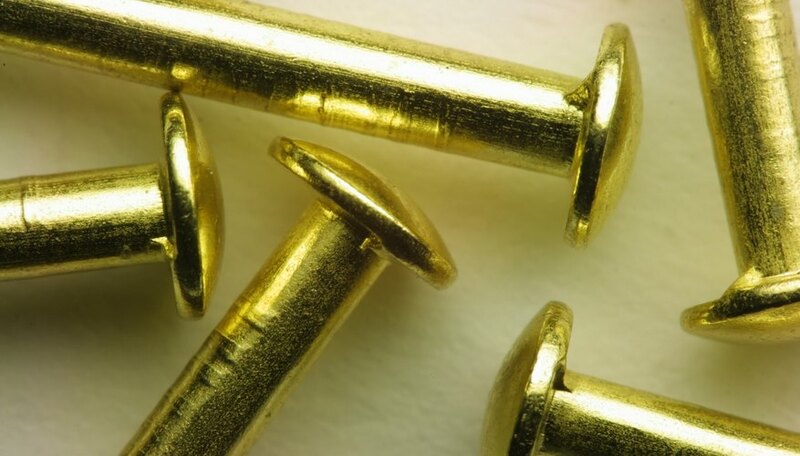 Often referred to as a leaded brass, C360 contains a high percentage of zinc. Leaded brasses are known for resistance to atmospheric corrosion and high machinability. Lead increases the machinability of brass and it mimics a tool lubricant and microscopic chip breaker. The strength and free cutting quality is increased in the brass by adding the lead. This brass type is typically used for a copper base screw machine material. Leaded brass finishes well and is one of the easiest alloys to braze, plate and solder. Exports Unlimited: What is Brass? Hermance, Dianne. "3 Different Forms of Brass." Sciencing, https://sciencing.com/3-different-forms-brass-12123734.html. 24 April 2017.